In case you didn’t see it last week, Make: magazine announced we are working with 2K to build real-world versions of some sci-fi guns for their upcoming game, “Evolve”. Here is the medic class, explained by Evolve’s own game creators. 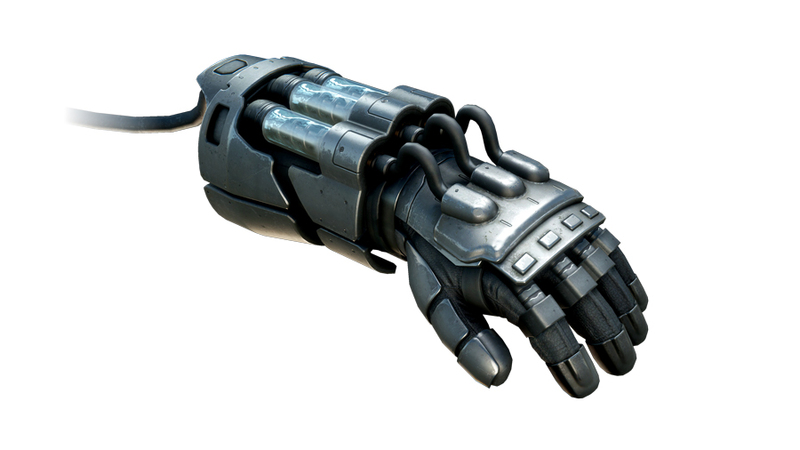 We decided to make the “Lazarus Device”, a gauntlet that is worn by the Medic class, and can revive fallen players. 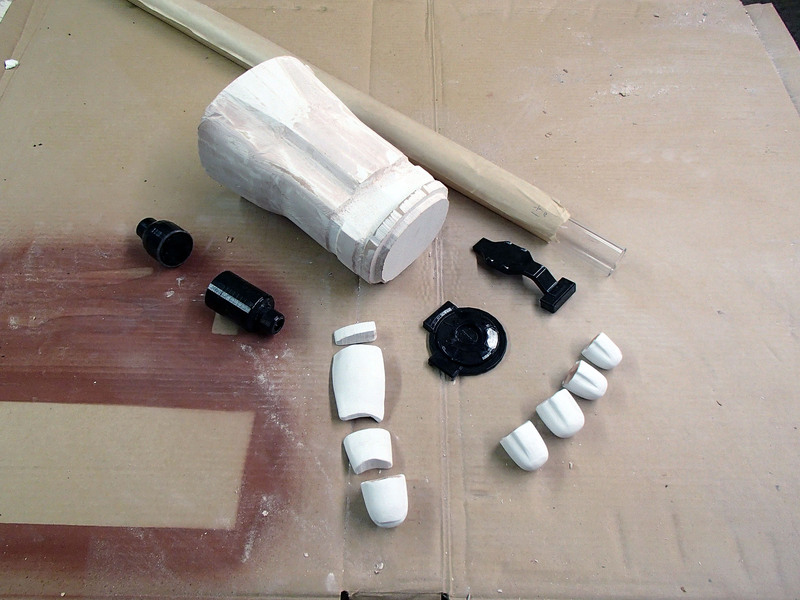 Making the gauntlet in real-life was a departure from traditional weaponry, but will be an interesting prop because we are constructing it so you can actually wear it. Here, Shawn has started CNC’ing the base shape in MDF on his Carvewright, then on to be rotocast in urethane resin, and finally, the outer shell will be fiberglassed. The clear tubes will be 1-1/4″ acrylic tubing. The springs will be hand-formed in aluminum and there will be a stainless or aluminum rod that runs down the center. Then the tubes will be filled with an as-yet-undetermined mystery liquid before being sealed tight for all eternity. 3D models are not always accurate enough to build a prop that the general public can wear, but you can see Shawn’s scientific method of measuring (ha). 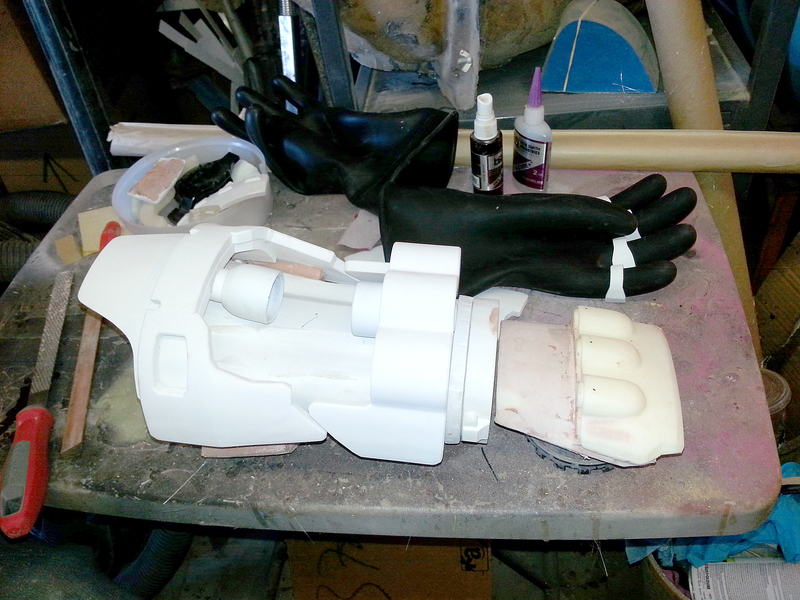 Seriously, by literally laying out the parts, you can do some quick calculations on what is going to fit a traditional hand. He scaled the thing to fit a very large man’s hand/arm. It’ll be a bulky and imposing thing sitting on the shelf. 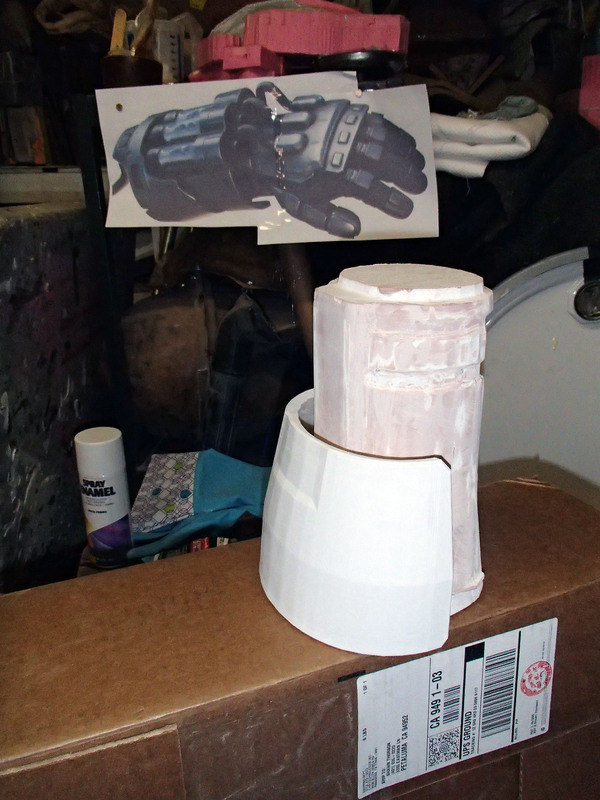 Because the glove will be worn by numerous people, we thought it would be nice to be able to disinfect it every now and then, so we’re using a good ‘ole size-10 “Magid,” rubber electrical glove. Nuff said, Shawn, get back to work! We’ll do the final reveals of all the weapons at the end of the series (around early September) so stay tuned!